We welcome visitors into the branch for face-to-face visits during the times listed in our Opening Hours. If no volunteers are available, there's information posted on the door on how to make an appointment to see us. We do schools outreach with local schools. We do prisons outreach with a local prison. You might reach one of our volunteers when you call the national Samaritans number, 116 123. Cambridge Samaritans exists to provide confidential emotional support to people in distress or despair in the city and surrounding area. Our volunteers respond to an average of 80 requests for support per day via phone, email or in person, equating to once every 18 minutes. Approximately one in five callers has considered ending their life. Our Branch, one of the 201 Samaritans Branches around the UK and Ireland, was founded in 1962. We are an independent local charity and rely on the support of local volunteers and donors to operate. We're always looking for more volunteers to add to our 130-strong team. It's a great way to develop new skills, make new friends and provide vital support to people who are going through a difficult time. To find out more, please come to one of our information events which are held twice a month at 4 Emmanuel Road. You’ll receive a warm welcome and hear more from current volunteers about what they do and what’s involved. You don’t need to book and you don’t commit yourself to anything by coming along. We’d love to see you there! Cambridge Samaritans a charity registered in England & Wales (1165282). 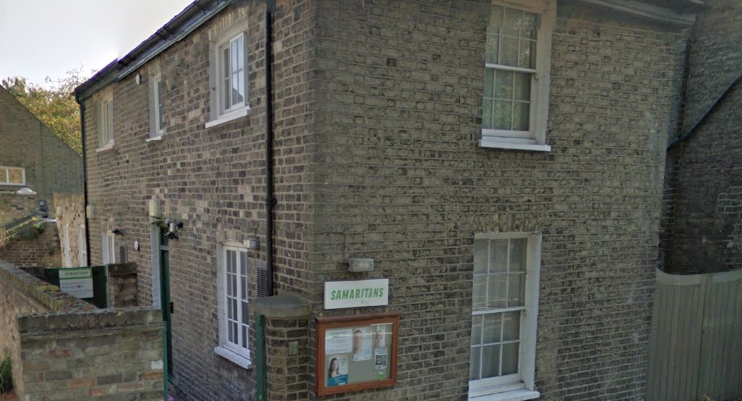 Cambridge Samaritans is a recognised branch of Samaritans.